The challenge of promoting healthy ageing which has now been given the priority will be a serious challenge to Member State healthcare systems. Putting health itself and health maintenance at the centre of their policies, programmes, staff training and recruitment will require a fundamental rethink in approach to healthcare by all Member States. The current disease-driven, reactive healthcare system gives only minor attention to prevention and the promotion of patients’ health. In general, physicians are paid far more for technological intervention than for counselling their patients about lifestyle or other predisposing factors. Other approaches to maintaining health and preventing illness, such as those of Complementary and Alternative Medicine, are currently inadequately used. For the proposed healthy ageing targets of the Innovation Partnership to be achieved, a paradigm shift in the approach to the provision of healthcare will be necessary. 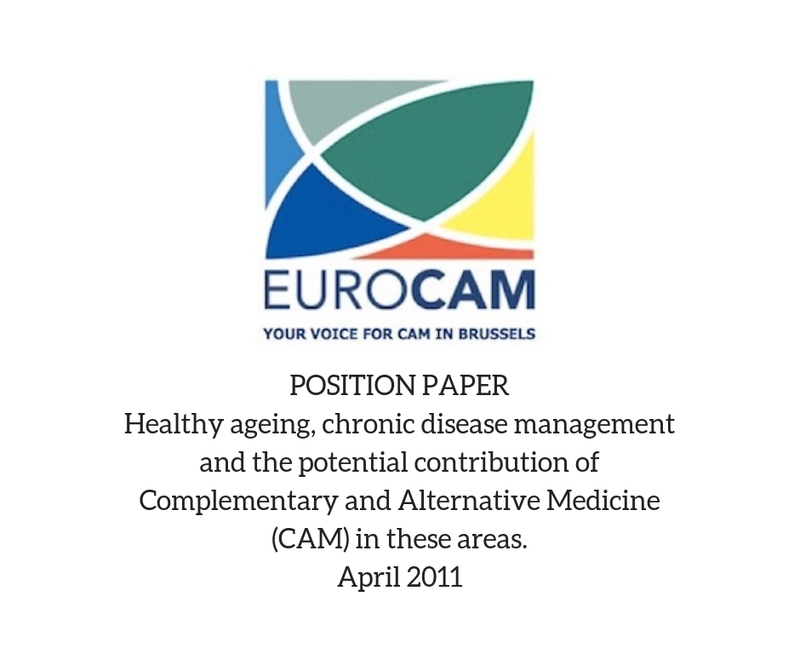 It is required to explore this in some detail and to outline the role complementary and alternative medicine (CAM) can play in this transformation. Healthy Ageing requires a focus on societal health education, healthy lifestyles and a reorientation of our existing primary care system. Current gaps in healthcare service provision should be addressed through extending the system to include the concept of salutogenesis and the holistic approach of CAM with the integration of CAM methods. CAM’s twin objectives of maintaining health and treating illness in an individualised way. Its focus, on salutogenesis and sustainable and safe treatment of illness, are inherently geared to supporting healthy active longevity, maintaining good health and strengthening health for resistance to health threats. Without such a new approach we will continue to spend more and more on healthcare and Europe is unlikely to meet the targets of the Innovation Partnership on healthy ageing. A society in transition to holistic health-supporting values and practices will require the assistance of professionals to help them make appropriate lifestyle choices, learn self-care and choose wisely when seeking professional help. Health psychologists, dual-trained physicians (in conventional Western medicine and CAM), CAM practitioners, specialised nurse practitioners, bodywork practitioners, nutritionists, mind-body technique instructors and health coaches are examples of categories of workers who may help to fill existing needs. This is likely to lead to safer, more effective, cost-effective and affordable health delivery systems.